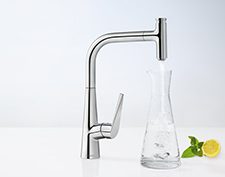 Regardless of whether your customer is looking for a classic kitchen mixer, a mixer featuring Select technology, a mixer with a pull-out hose or a wall-mounted mixer: make him happy by showing him a kitchen assistant that features innovative technology. We offer you top products – plus great selling points in favour of our kitchen ranges. So you can score points with your technical expertise and background knowledge. 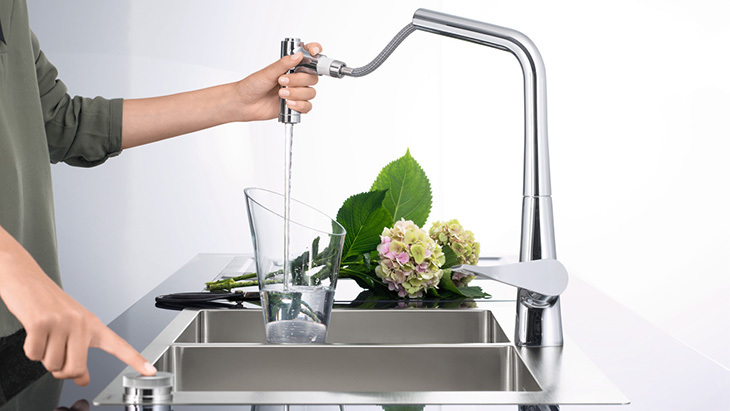 The control unit is separate from the mixer: use the ergonomic lever handle on the front rim of the sink to control the temperature and water volume. 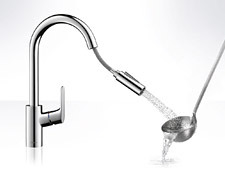 Or choose the Select button to turn the water on and off at the touch of a button. Turn it to operate the waste set. Clever accessory: hose box, enabling the hose to be pulled out safely and smoothly. This expands the operating radius from the previous 50 cm to 76 cm. 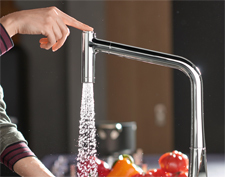 From vegetable washers to food connoisseurs, from plate washers to professional chefs: everyone will love hansgrohe kitchen mixers. 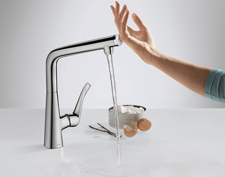 Regardless of who turns them on – they symbolise a fusion of expertise, quality, functionality and design. They will inspire even the most demanding of customers. 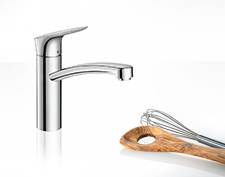 The professionals will also be impressed by the fact that all the mixer ranges are easy to install.